Customer Feedback is Always Great to Hear! I can’t express my appreciation – enough – for the lovely feedback I receive from my customers. Sometimes, in addition to feedback, I hear the wonderful stories behind the memory items I make. Lara sent me a shirt, asking me to make a pillow case. 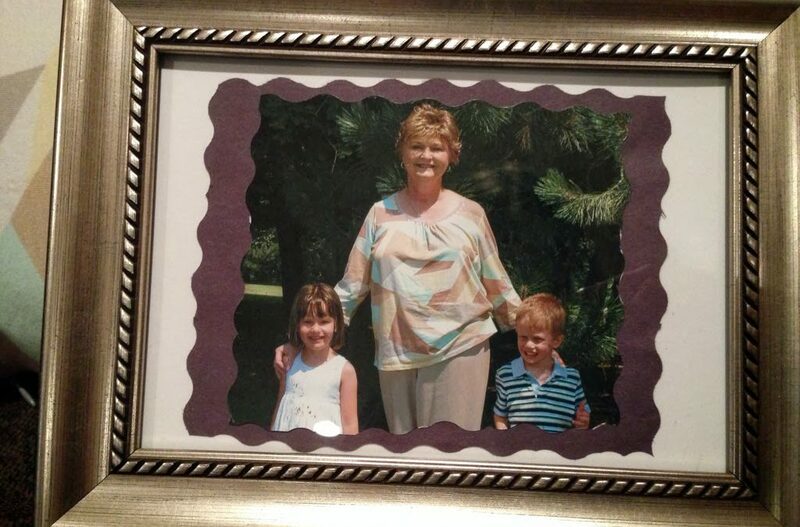 The shirt belonged to her beautiful mother whom she lost about five years ago around Christmas. 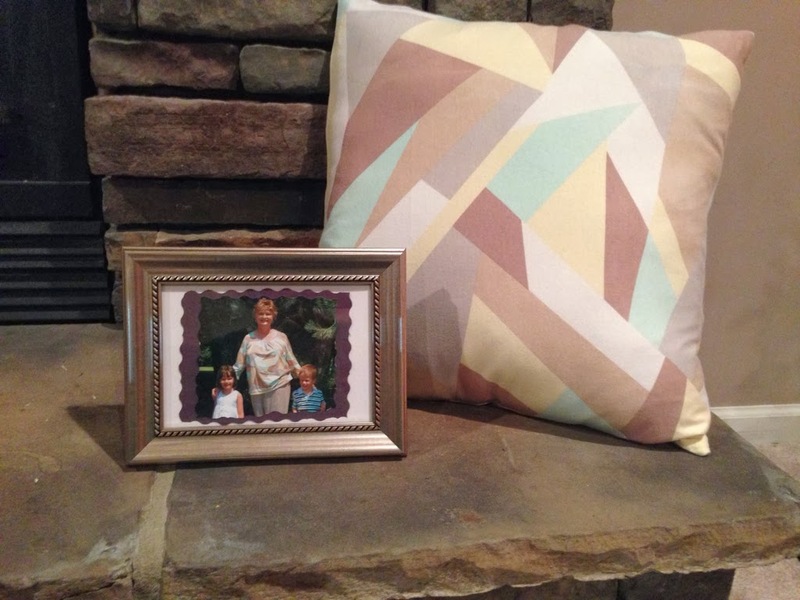 She wanted the pillow to give to her dad, along with the framed photo of her mom wearing the shirt. 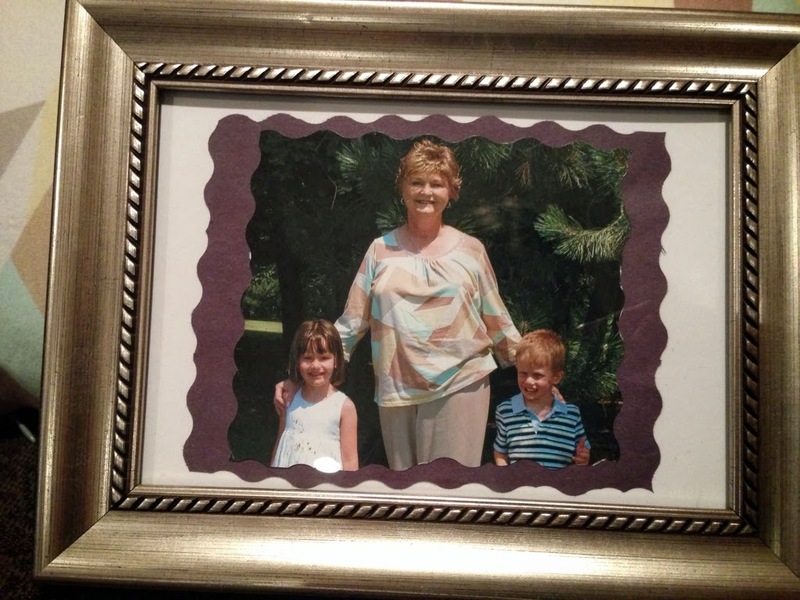 What a simple, yet powerful way to remember her mom. Lara left me this lovely feedback on my Etsy shop. It was truly my honor to create this item for Lara! On another motherly note, my wonderful customer Anita returned to me to have a blanket made for her mom. Anita runs marathons and had some fun “Marathon Mom” sweatshirts. 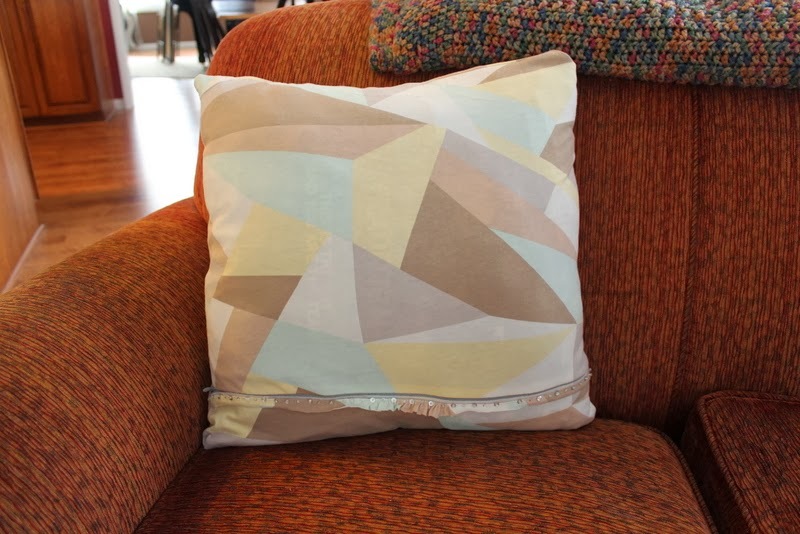 To add variety to the blanket, Anita picked out several flannel accent fabrics. 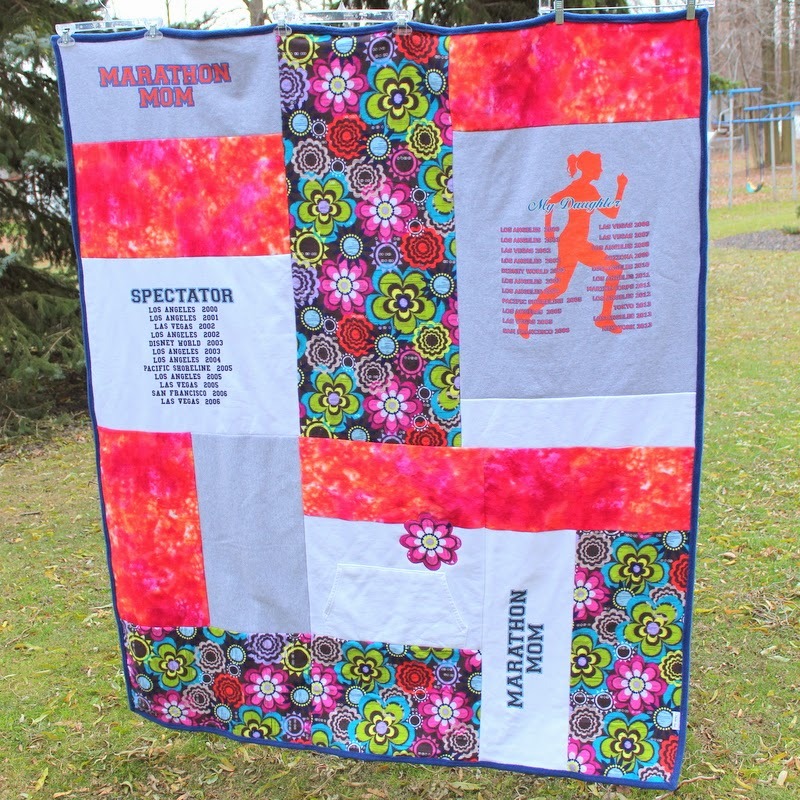 Here’s a photo of the blanket and you can see more on the Marathon Blanket here. 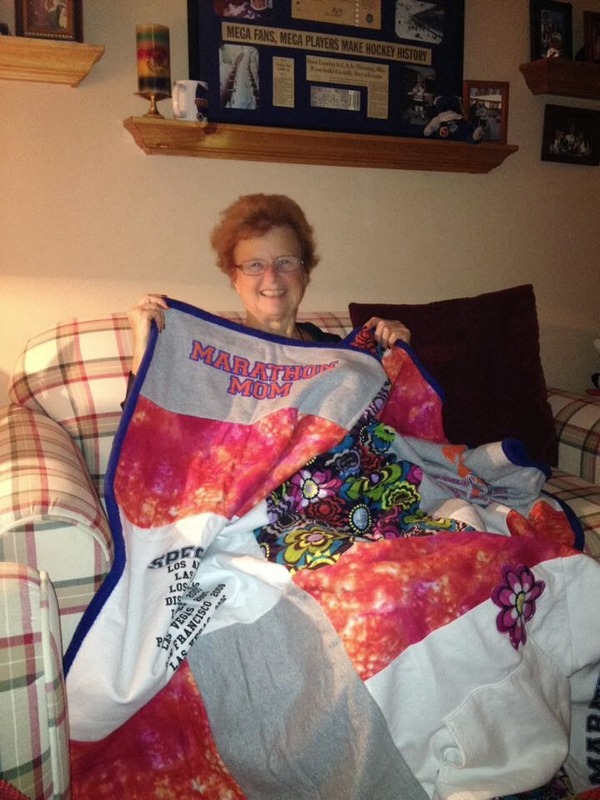 Better than seeing the blanket is seeing Anita’s mom with the blanket! Anita shared this with me on my Facebook Page. It truly touches me to see my creations in use.